The popularity of cricket in India is worthy of comparison to religious popularity. Apart from professional hindrances, the pressure of fan-following is so great on Indian cricketers that players often succumb to the high expectations from their cheering crowd. But some make it to the top and manage to carry the dreams of millions of die-hard Indian cricket fans. Mohammed Siraj is one such player who managed to shine brightly. 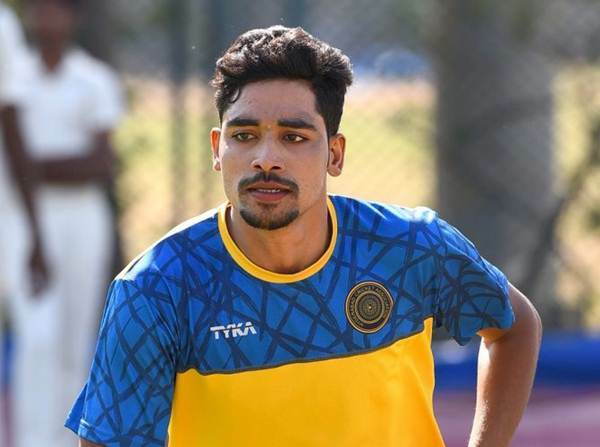 Mohammed Siraj who hails from a poor family in Hyderabad is the son of Mohammed Ghouse and Shabana Begum. Siraj has a sibling (brother) who works as an engineer. However, despite the fact that both brothers are pretty well-off in terms of finance, they actually came up from a poor family as their father worked as an autorickshaw driver and their mother worked as housemaid in various families. Despite the financial difficulties the family faced, the parents of the two kids left no stone unturned to let their kids pursue their individual dreams. The result was that Mohammed Siraj and his brother succeeded in their respective fields that they are passionate about. Not much is known about the educational background of the cricketer. But it is sure that his parents provided encouragement for them to pursue education. It is evident from the fact that his brother is an engineer. Siraj pursued cricket as a profession, and this is the reason why he could not concentrate on higher academic education. But he is well-versed in the lessons of life, which he acquired from his parents. In an interview given to a daily newspaper, Siraj commented that he was always interested in wielding the willow. Though he bowled occasionally, he always wanted to hit the ball. But it was the honesty of his friends that they told him that he would make a better bowler than a batsman. This happened while taking part in gully cricket match. Since then, he started concentrating on his bowling skills. Mohammed Siraj started his journey on the pitch of playing cricket professionally on the 15th of November, in the year 2015. The match was played between the Hyderabad state team and the Services. This cricket match was organized on the hallowed grounds of Feroz Saha Kotla stadium in Delhi. It was this match where Siraj managed to grab the attention of Ranji team selectors. His right arm medium-fast pace bowling was creating magic during the match and of course, his Yorkers were something worth praising. After playing an amazing game during the 2015 – 2016 Ranji for the state of Hyderabad, he wowed the selectors and owners of the Sunrisers Hyderabad and cemented his place in the team. In the Ranji game, he took a whopping 41 wickets in 9 matches. This was enough to ensure the victory of the team in most of the games. The authorities of Sunrisers Hyderabad made a bid of 2.6 crore rupees for the 2017 IPL season. For playing in the two back to back seasons of Ranji, he earned 10 lakh rupees, which was a huge sum for him and his family. Siraj said that he would like to invest the sum in purchasing a good home for his parents. Like most of the youngsters of his age, Siraj also has a flair for listening to different kinds of music. He commented that the soothing music helps him to relax and concentrate on the game. It eventually helps him in getting better at his game. As he is a bowler, it is only appropriate that he will be inspired by the other legends in the cricketing world. Siraj is particularly inspired by the bowlers like Mitchell Starc and Dale Steyn.